Hurry on this one! Marked down from $13995 - you save $1065. With solid power, excellent fuel economy, distinctive styling, and a huge array of tech features, the Ford Fusion is a great choice for a midsize sedan. 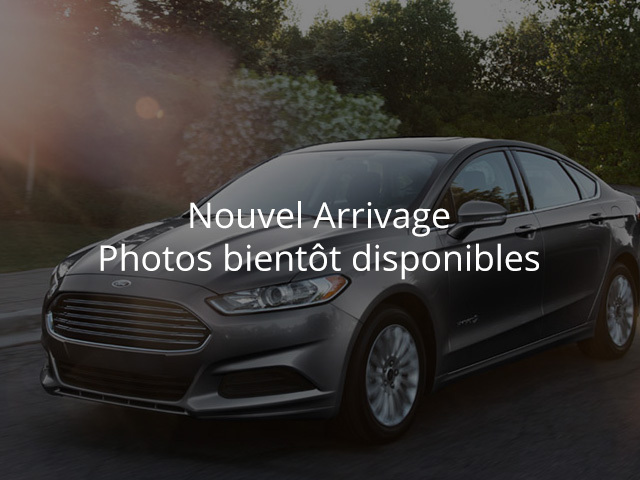 -Edmunds This 2013 Ford Fusion is fresh on our lot in Moncton. The Ford Fusion is a top choice in the competitive midsize sedan segment, with solid power, excellent fuel economy, sharp styling, and a well-appointed interior. Offering a very comfortable ride for up to five people, this handsome sedan gives you generous interior space, a big trunk, and an array of tech features you might be surprised to see at this price point. It also gets strong safety ratings so you can drive with confidence. For a stylish sedan that you can trust, the Ford Fusion is a great pick. This sedan has 78067 kms. It's ruby red metallic tri-coat in colour. It has an automatic transmission and is powered by a smooth engine. Our Fusion's trim level is Hybrid SE. The mid-range SE trim gives this hybrid much more than just great fuel economy. It comes with the SYNC infotainment system with Bluetooth, SiriusXM, a CD/MP3 player, and 6-speaker audio, dual-zone automatic climate control, cruise control, a SmartGuage with EcoGuide, LED taillights, aluminum wheels, and more. To view the original window sticker for this vehicle view this http://www.windowsticker.forddirect.com/windowsticker.pdf?vin=3FA6P0LUXDR300855. Buy this vehicle now for the lowest weekly payment of $61.78 with $0 down for 60 months @ 6.99% APR O.A.C. ( Plus applicable taxes - $619 documentation fee ). See dealer for details.